” This Old Haunted House! Using InSpectres from Memento Mori Theatricks, I’d hack their setup and turn it into a reality TV show setup. Character setup is the same as in the normal game, as is the Franchise setup, though in this case it would be “Production.” And instead of getting franchise dice, you get Ratings Dice. Characters can range from The Talent to Crew. 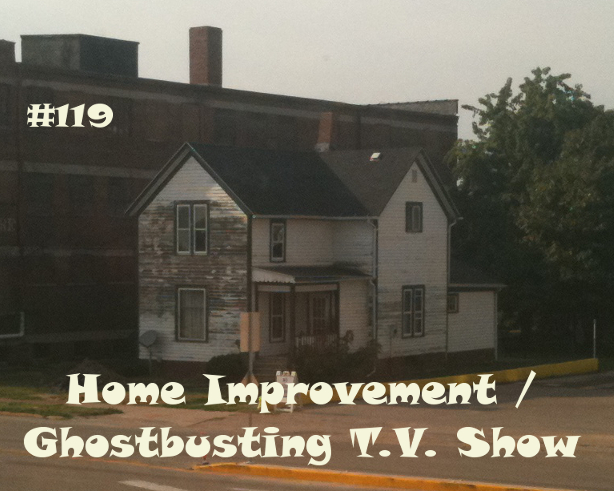 And the show, This Old Haunted House, is a home improvement show, that includes exorcising any spirits haunting said house. So that does mean that the Talent has to talk to the camera/audience from time to time. They are doing a show. Since this is sort of show is driven by both the GM and players, it’s going to be a bit hard to figure out when it ends. The Audition: Each PC goes through their audition interview. This is where you find out about what skeletons are in their closet, and potential plot threads for the different shows. Finding the Property: Everyone decides where and what property they are going to work on, and who owns it, or if they are going to buy it and flip it. Research & Investigation: Researching the problem and coming up with an explanation/solution. This includes what’s wrong with the property besides being haunted. It is a home improvement show. Assemble the Crew: Put together not only the ghost busting gear, but the contractors who are going to work on the house as well. Doing the Shoot: Filming the episode and dealing with all the problems in the house. The Reveal: Showing off the house and renovations, returning it to the home owners, or selling it on the market. Transfer your Rating Dice to the Bank and Cards. Between Jobs; Time to take a break and get ready for the next renovation. Instead of confessionals, this being a reality TV show, you have Outtakes. In these one or two of the PCs perform an outtake where something goes wrong and reveals an aspect about one of the PCs that no one knew about. Given enough time, and I probably could come up with a decent enough hack of the system.” – come and give us a hand on MeWe. Philosophy Tube – NB – The very obnoxious character in the don’t-look-too-closely shirt is not in the vast majority of the video. Thanks for the shout out for my game Magical Mom Force! Great episode again! Hopefully Craig will soon get reliable Interwebs connections soon! The development company have been very quick to roll out press releases about how awesome and totally not overloaded the power grid here is, which would be much more believable if they weren’t completely ignoring infrastructure in order to build more houses. Also, glad you liked it, and thank YOU for an awesome Inspectres hack. Um, what was the last line? It seems to be been cut off. Craig was on editing for this one and also got a stricken with a nose-bleed in the closing minutes of the recording, so I can understand if he wanted excise some awkward sniffing. Weirdly, it also made his voice extremely bassy, which was quite freaky after talking about ghost franchises for hour or so. Near as I can tell, I was hoping that we’d have polls set up for next episode’s prompt by the time this episode dropped. The audio wasn’t good, unfortunately; Combination of cellphone data & possibly some odd effects from the powered USB hub. The nosebleed was just the icing on the cake, as it were.